In lieu of flowers memorial donations may be made to Juvenile Diabetes Foundation and left at the funeral home. 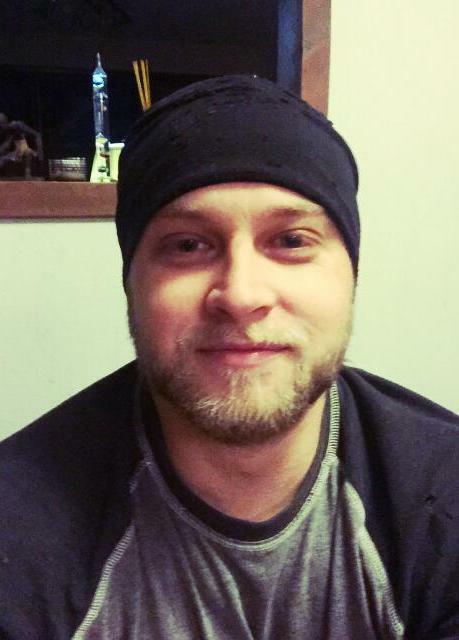 Lance Gary McConnaughey, age 29, of El Dorado Springs, Missouri, passed away at his home on Friday, January 20, 2017. He was born February 19, 1987 in Riverton, Wyoming, the son of Evan and Cindy McConnaughey. He attended grade school in Green River, Wyoming until his family moved to Missouri in the year 2000. He graduated from El Dorado Springs High School in 2006. He studied drafting and design at State Fair College in Sedalia, Missouri. Lance held many jobs over the course of his lifetime. He was most proud of his time spent with Midwest Steel Contractors. He learned a lot, made some great friends and got to travel the country. Lance had many talents. He could do just about anything he set his mind to. He loved working with his hands. He could do just about any construction job, whether it was the actual building of a home or any re-modeling needed inside. He also loved to cook. He never used a recipe book, just created as he went along. He had a kind heart and loved his family and friends with a passion. He spent many hours playing with his niece and nephew. He was also a lover of animals. The more dogs and cats he had, the happier he was. He loved the outdoors and spent many happy hours hunting, fishing and floating the river with his many friends. Survivors include his parents of El Dorado Springs; brother Nathan and his wife Kathryn of El Dorado Springs; niece Nathalie, and nephew Kash McConnaughey of El Dorado Springs; grandmother Ruby McConnaughey of El Dorado Springs; grandfather Bill Clark of Riverton, Wyoming; aunt Kelly Cain of Riverton, Wyoming; uncle Clell Cain of Green Valley, Arizona; aunt Tammy McConnaughey, uncle Steve McConnaughey, uncle Dale McConnaughey and wife Becky all of El Dorado Springs; cousins: Kristie Cain of Seattle, Washington, Carla Lentz, Chance McConnaughey, Emily and Chad Shinn, Hayley Julian and Ashley McConnaughey all of El Dorado Springs, Caleb and Lisa Julian of Nevada, Missouri, Grant and Erica McConnaughey of Springfield, Missouri, and special friend Karrie Maes of Green River, Wyoming.